Here at Car-Registration.org, we realize that changing your car’s oil may not be your favorite pastime. However, changing your oil yourself is much easier than many drivers realize, and far cheaper than having a professional do it. Having clean oil is a necessary part of the car maintenance process, and with just a few easy steps, you can learn how to do it yourself. If you are planning to change your vehicle’s oil, follow the directions below carefully. Most of the items above can be purchased at your local auto supply store or at almost any major retail store. The team at Car-Registration.org emphasizes the importance of choosing the right type of oil for your car. 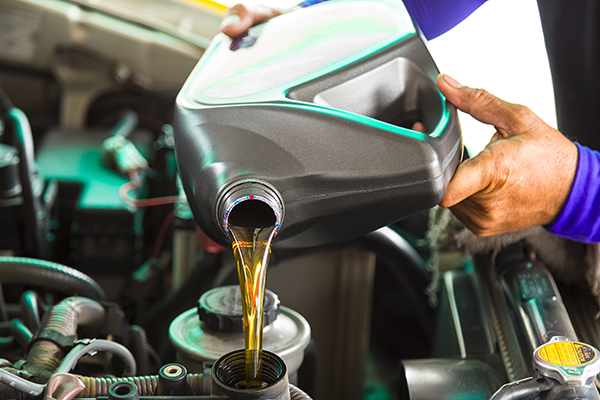 Information about the necessary oil type can usually be found in your vehicle’s owner manual, as well as information about how many miles you can drive before you need an oil change. There are many different types and brands of oil available, and the type you select should largely depend on how much you drive. If this is your first time changing your own oil, it would be wise to select an oil that will work under “severe” driving conditions – for safety purposes. Also, first-timers should pay close attention to the recommended oil type and viscosity referenced in the manual. The experts at Car-Registration.org recommend that you read your manual so that you know what to expect when changing your oil. After reading through the manual, unscrew the cap labeled “oil” on top of your engine to drain the oil from your car. Since it takes longer for cold oil to drain, you may have to turn your engine on for 10 to 15 minutes to warm up your old oil in the winter. Before attempting to change your oil, you should also be sure that your car is properly held up using a ramp, and that you are parked on level ground. The oil drain plug is located on the underside of your car, and is usually located near the oil pan or engine sump. Place your pan directly below the drain plug and use a wrench to loosen it (you will then be able to remove the plug by hand). Be careful – the oil may rush out at first and if you’ve just turned off your engine, it may be hot. Remove the oil filter using your wrench and place it near your pan. Wipe any excess oil from the engine’s filter seat, and lightly line the edge of your new filter with a bit of your new oil to create a seal. Carefully screw the new filter clockwise onto the threaded oil line so that its edge comes into contact with the mounting surface. Wipe the oil plug clean and screw it back in tightly. Pour new oil into the hole on top of the engine using the funnel (avoid spilling excess oil on the engine). Add the appropriate amount of oil listed in your owner manual, and use a dipstick to ensure that you have added the correct amount. Screw the cap back on, and start your engine. If the oil light inside your car fails to light up, you are finished changing your oil. If the light comes on, the experts at Car-Registration.org recommend re-measuring the oil you just poured in. Once you clean up your area, you are officially done changing your oil.